Our kitchens may hold the keys to combatting inflammation in a safe, natural, and effective way. It has been established that inflammation is an underlying contributing factor in multiple diseases that afflict Western society. Unfortunately, the Standard American Diet, as well as poor lifestyle choices such as inactivity, contribute to the wide-spread presence of inflammation in the population. 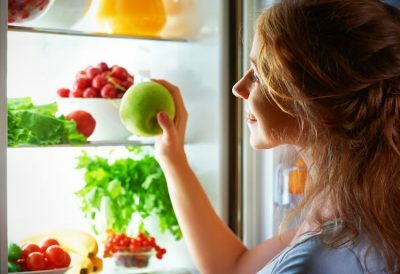 However, we may only need to turn to our kitchens to help reduce this inflammation and therefore hopefully prevent some of the most harmful diseases that are born from inflammation running rampant in the body. This golden spice that sits in many a kitchen spice drawer really does deserve its status as one of the world’s most popular and celebrated functional food. Of its hundreds of potential therapeutic properties, being an excellent anti-inflammatory seems to be one of its most evidence-based super powers. There have been hundreds of studies performed showing turmeric is an anti-inflammatory agent. You can find over 250 abstracts supporting this statement on our turmeric database alone. Take a look at our focus/share research results page here to see the abstract for yourself. 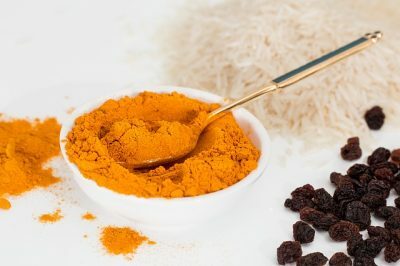 One such study was a systemic review1, which looked at multiple random controlled trials of turmeric and curcumin, (the active component of turmeric) for treating arthritis symptoms. The conclusion of this review supported the efficacy of turmeric extract, (about 1000 mg/day of curcumin) in the treatment of arthritis. Another study2 aimed to assess the effects of turmeric on systemic inflammation in chronic kidney disease patients. In this study either curcuma longa, Boswellia serrata, or placebo were given to patients and multiple inflammation markers were assessed including interleukin-6, tumor necrosis factor-α, glutathione peroxidase, and serum C-reactive protein. The study concluded that curcumin, (as well as Boswellia serrata) were safe, tolerable and helped to reduce inflammation in these patients. Diabetics are also those who suffer from inflammation as an underpinning symptom of their illness, and turmeric has been studied for its ability to reduce inflammation in diabetic patients. One study3 looked at the effects of turmeric as an adjuvant to anti-diabetic therapy. In this study, sixty diabetic subjects on metformin, (a common diabetes drug) were randomized into two groups. One group received the standard metformin treatment whereas the other group received the metformin treatment plus 2g of turmeric per day, for four weeks. The study concluded that turmeric supplementation, as an adjuvant to type two diabetics on metformin, had a beneficial effect on blood glucose, oxidative stress, as well as inflammation. Turmeric has also been studied for the role it plays in obesity with one such study4 concluding that the extracts of turmeric play an important role in the regulation of inflammatory reactions and oxidative stress occurring in overweight patients, which in turn helped them to reduce excess body weight. 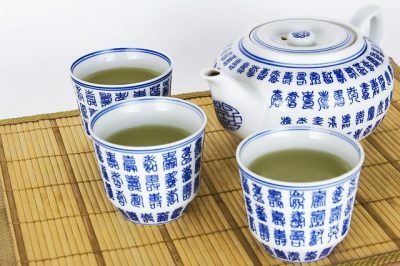 Green tea is a common beverage that appears in multiple studies5 to possess anti-inflammatory properties. In one such study6, green tea was used to assess gingival inflammation and severity of periodontal disease. The authors of the study concluded that green tea showed greater reduction of gingival inflammation and improved periodontal parameters compared with a fluoride-triclosan dental paste. Additionally, multiple rat studies have also proven green tea’s potential as an anti-inflammatory agent. One such study7 showed the anti-inflammatory activity of green tea was greater than that of black tea and equal to that of indomethacin, a nonsteroidal anti-inflammatory drug. Pomegranate is proving to be a potentially delicious way to reduce inflammation in the body. It’s the polyphenols in the pomegranate that appear to have these remarkable anti-inflammatory benefits8. In one study9, forty type 2 diabetic patients were asked to consume 50g of concentrated pomegranate juice daily for four weeks. Throughout the study inflammation markers were assessed and the researchers concluded that daily consumption of pomegranate juice appeared to have favorable effects on some markers of subclinical inflammation in those with type 2 diabetes. In another six-week long study10 pomegranate juice consumption was assessed in 23 women with metabolic syndrome. These women were split into two groups, one who consumed 300ml of pomegranate juice daily, and a second that did not. The results of the study indicated a positive impact of pomegranate juice consumption on lipid peroxidation and fatty acid status in metabolic syndrome subjects, which suggested pomegranate has anti-inflammatory and cardio-protective effects. Pomegranate extract has also been studied in those suffering from Rheumatoid Arthritis, (RA). In a study11 55 patients with RA were randomized into two groups: one who received 2 capsules of 250mg of pomegranate extract per day and a control group who received 2 capsules of 250mg cellulose per day for 8 weeks. 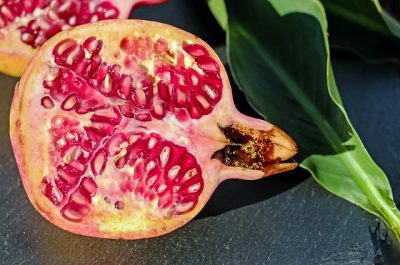 The study concluded that pomegranate extract alleviates disease activity and improves some blood biomarkers of inflammation and oxidative stress in RA patients. Pomegranate has even shown potential for breast-cancer treatment. In one study12 it was concluded that pomegranate emulsion prevented the progression of mammary carcinogenesis in rats by way of an anti-inflammatory mechanism. 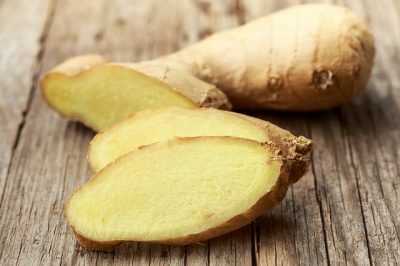 Ginger is a delightful spice that can be used in both sweet and savory dishes, and researchers have discovered it also has the ability to significantly reduce inflammatory markers in the body. You can view 17 citations on the topic here. One such study13 aimed to investigate the effect of ginger powder supplementation on inflammatory markers in patients suffering from knee osteoarthritis. This double-blind randomized placebo-controlled clinical trial was conducted on 120 patients with moderately painful knee osteoarthritis. Patients were randomly divided into two groups: a group that received a capsule ginger powder or a group that received a placebo capsule of starch, for three months. The study concluded that ginger powder supplementation at a dose of 1g per day can reduce inflammatory markers in patients with knee osteoarthritis, and therefore can be recommended as a suitable supplement for these patients. Tuberculosis is another disease in which inflammatory cytokines play an important role. Therefore, one study14 aimed to explore the anti-inflammatory effects of ginger in those suffering from tuberculosis. This randomized, placebo-controlled study supplemented one group for one month with 3g of ginger extract and a placebo group with a starch capsule. The study determined that ginger was an effective anti-inflammatory agent and helpful to those suffering from tuberculosis. 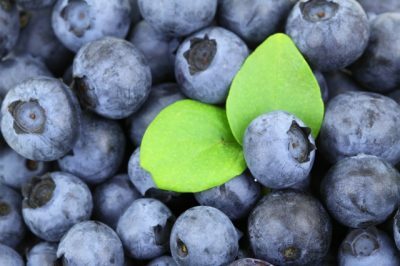 Blueberries don’t just make for a naturally sweetened snack, they also possess powerful anti-inflammatory benefits. In one study15, the anti-inflammatory effects of blueberries was noted in twenty-five well trained individuals who were randomized into a blueberry group or a control group. The study showed that after six weeks of daily blueberry consumption markers of inflammation in these individuals had decreased significantly. In another four-week randomized placebo-controlled clinical trial16 Blueberin, (a phytomedicine containing blueberry leaves), was tested on forty individuals diagnosed with type 2 diabetes. The study concluded that in addition to anti-diabetes effects, Blueberin also possesses pharmacologically relevant anti-inflammatory properties. What’s more, multiple rat studies17/18 also show promise for blueberries as a natural anti-inflammatory. One such study19 showed blueberry extract was able to significantly reduce the development of arthritis. And another study20 investigated the anti-inflammatory role of blueberries in modulating inflammatory markers and neurotransmitter levels in post traumatic stress disorder (PTSD), concluding blueberries can attenuate oxidative stress and inflammation and restore neurotransmitter imbalances in a rat model of PTSD. So it would seem that once more food really is medicine. If inflammation is of concern to you then increasing your intake of turmeric, green tea, pomegranate, ginger, and blueberries may just be what you need in order to see some relief. Even if there is no immediate need for anti-inflammatory agents, consuming these readily available anti-inflammatory functional foods is a good idea to promote and maintain optimal health. GreenMedInfo.com exists in order to provide convenient and open access to the biomedical research available today on the therapeutic value of natural substances in disease prevention and treatment. * Our website and video-based learning site GreenMedTV.com provides physicians, health care practitioners, clinicians, researchers and the layperson with an evidence-based resource through which the potential or actual therapeutic value of vitamins, minerals, herbs and foods can be determined. Our popular daily and weekly health newsletters provide a continual source of relevant health information, free of charge.